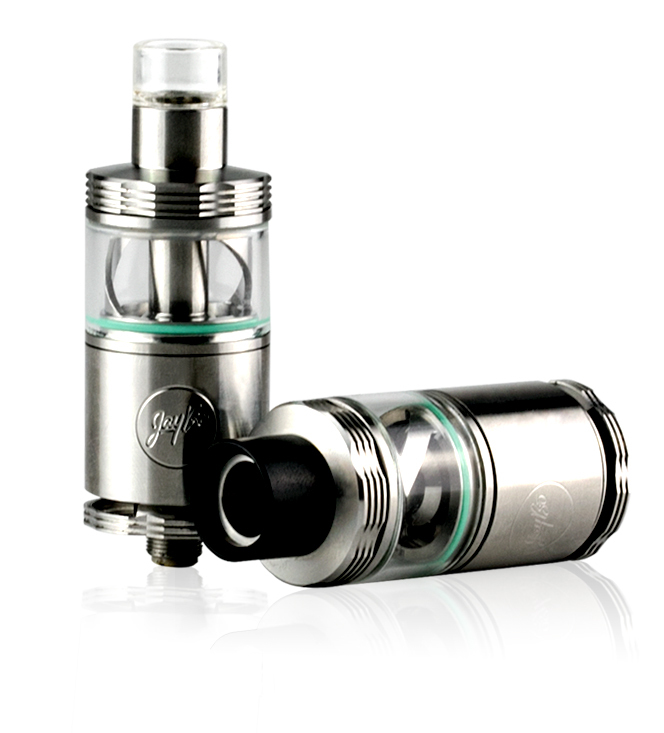 The Cylin RTA, designed by JayBo, is an auto dripping system which utilizes a removable tank section. 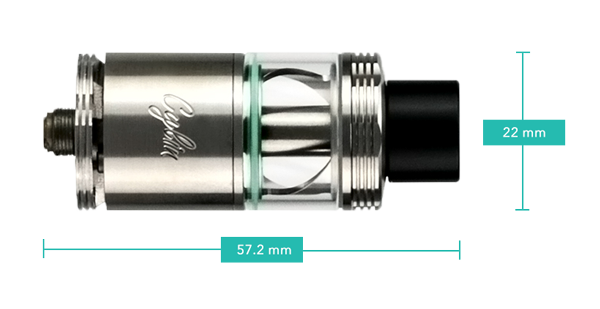 The Cylin atomizer can become both a dripper or tank system with juice flow adjustment. The “bottom airflow” on the Cylin is quite unique and leak resistant. The air travels up through the positive and negative posts hitting the coil directly, this insures complete coil coverage and dense flavor. The removable tank section is also compatible with other dripping atomizers, converting them into auto drippers. The INDE DUO, Indestructible and other atomizers that share the same sleeve size will be compatible with the Cylin system. 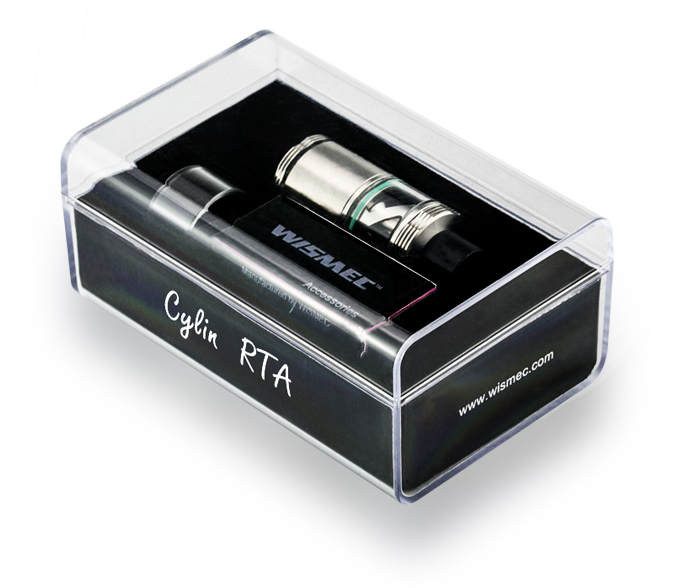 The Cylin RTA is made of stainless steel, and all the components are convenient to detach and clean. The newly introduced stainless steel Notch Coil (5mmx7mm) can work under high wattage and will bring you wonderful vapor. Through the simple operation of rotating the top cap, e-juice inlet can be regulated easily and unexpected vaping enjoyment will be gotten naturally.You can also rebuild the coils to your preference for DIY fun. The removable tank section is compatible with other dripping atomizers that share the same sleeve size, such as INDE DUO and Indestructible, converting them into auto drippers skillfully. Two kinds of mouthpiece are available, you can choose the one to your preference and enjoy different vaping experience.